Every year the fifth grade of the CGU, a gymnasium high school in Utrecht - the Netherlands - makes a trip to Greece. Like every year they visit the excavations in Olympia too. Olympia is known for its quadrennial Panhellenic games, that count as the inspiration for the contemporary Olympic Games. Near the sanctuary the relics of temples, thermal baths and of course the stadium can be visited. 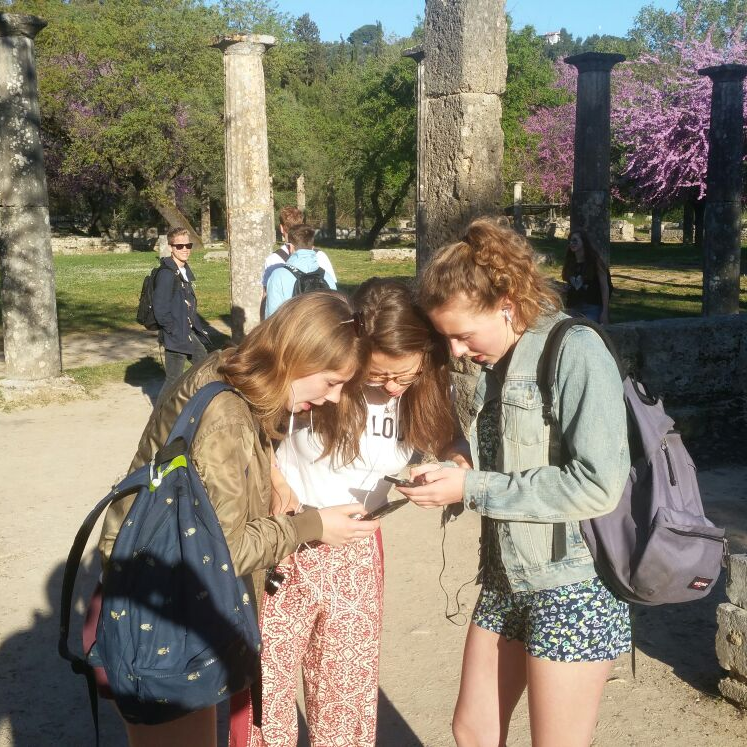 In preparation for, and knowledge transfer during the trip the students created an audio tour. In this guided tour twenty location (stops) are introduced; in the text the user can read specific factual information, in the voice-over the emotional and legendary stories are told - by students themselves. For example; in the Villa of Nero the architecture and the facilities (plumbing!) are described, but voice-over tells you how the Emperor won every single event on the Games, even when he didn’t finish. With every attraction there is quiz with a multiple choice or an essay question.